I received two VIP tickets to The Tampa Bay Rum Festival through a partnership with Tampa Bay Bloggers in exchange for writing a review. As always, my opinions are all mine. I seem to have lost any ability to write in a semi-consistent matter, a lot of things have been happening lately concerning work and my personal life that have kept me a bit off centered. Not all bad but not all good either. At least I think my u.c. is in remission, they say there is always a bright side. Anyways, that was my lead in (excuse) to why it took me two weeks to let you know how the Tampa Summer of Rum Festival went. It was amazing. I’ve been to other events put on by Big City Events but this was by far my favorite. And I really liked the others. Follow them on Facebook to see what all they have coming up! The festival was held at the The Cuban Club, which I’d never been to before. The building was amazing in and of itself. Because of the location there were the (really, really good) bands outside, lots of food buses and rum shacks, and also a whole big air conditioned inside to be in. Inside there was a DJ, dance floor, and additional live entertainment. I was in heaven; there were different types of music, food and rum everywhere. On top of that as an add on to the VP ticket the rum tasting was included. More music and a huge variety of rums to try. Some where given in shots and others as mixed drinks. My favorite was the Amber ‘Ti Punch with Clement Select Barrel rum. The recipe is at the bottom of their page. I would not have guessed the recipe, but that’s what the lady said I was drinking. Who am I to argue? I haven’t tried making it myself yet but I without a doubt will. 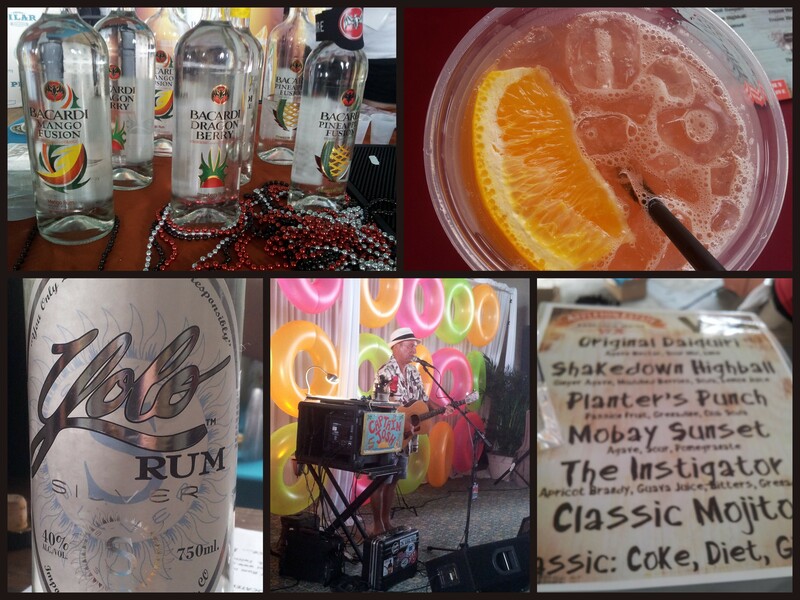 Did you make it out to the Summer of Rum festival? 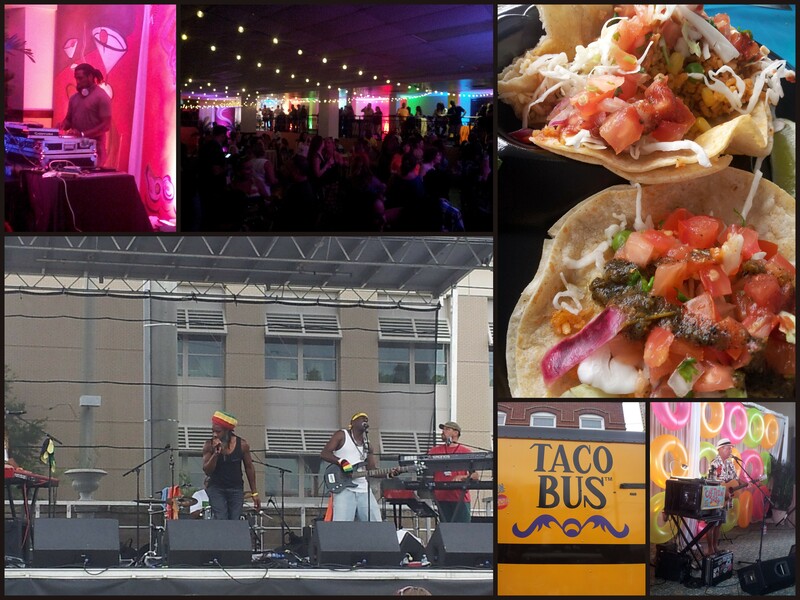 If you aren’t in Tampa are there festivals like this in your area? Have you run a Spartan Race yet? If not are you trying to decide whether you’d like to? Well, here’s your chance to see exactly what the races are like – from your own living room. Kind of feels like cheating, but in this case it’ll work. I’m not much of a TV person, I don’t even have cable, but I’d love to watch these races! I have to say, there is a whole lot going on in the Spartan world right about now. On top of televising races and the Spartan World Championship in Vermont they are putting together a Spartan Race Cruise in March. Yes, I said cruise. You go out and race on Saturday, and then Sunday they provide you with entertainment, food, drink and celebration. Talk about an after race party! They’ve put together a giveaway for 2 for the Spartan Cruise including airfare and the cruise out of Miami (US residents only). Enter for a chance to win here, I did! Has all of that got you ready to run a race yourself? Well as luck has it I was given an entry to give to a reader for any open heat (non-confirmed start time) in any 2014 Spartan Race in the continental US., all you have to do to win is enter here: a Rafflecopter giveaway. The contest goes through Thursday morning, I’ll email the winner the code Friday, the 29th. If you don’t win or if you need a ticket for a friend, use the code SPARTANBLOGGER for 10% off any race. Disclosure: I have received a free race entry in exchange for posting a giveaway. Summer of Rum is on it’s Way! Did you know there is a national Rum Day? Well there is and it’s this coming Saturday, August the 16th. Guess where I’m celebrating it? At the Summer of Rum Festival! If you’re anywhere near Tampa you should too. Why you ask? Because there’s going to be Rum Zones, Rum Shacks (small run zones) food trucks and also rum. Good enough reasons for you?? Check the festival out here. Even better is the fact that it’s going to be held at the Cuban Club which means it’s partly outside and partly inside (inside = air conditioning!). Also, the bands sound pretty awesome, there will be both ska and reggae! Sounds pretty much perfect to me. So, if you want to go you can get general admission tickets for $25, VIP for $95, or win a pair of GA tickets from me. I have 2 pairs to give away, I’ll contact the winners on Friday morning. You do have to be 21 or older to get in, no kids and no pets allowed. Don’t forget to follow them on Facebook for updates on the festival.